Many people own laptops and desktops that don’t have a dedicated graphics card. However, this limitation doesn’t mean your device is incapable of playing games. There are lots of brilliant games that can run on underpowered hardware. And in this article we’ve selected some great games you can play with integrated graphics. Developed by a single game designer, Stardew Valley puts you in the shoes of an aspiring farmer. After being burned out by city life, you move to the countryside and begin tending to a farm. While growing crops and taking care of animals, you also build relationships with the townspeople and help them revive the defunct community center. Fans of old-school farming simulators such as Harvest Moon will feel right at home with Stardew Valley. The graphics are simple but lush, and the gameplay is incredibly addictive (and relaxing) once you get a routine going. Undertale is a tricky game to explain. On the surface, it’s a cheery role-playing game where you don’t have to defeat or attack any of the monsters. Instead, you interact with them by cracking jokes, talking to them, or helping them resolve their issues. One of the boss battles involves participating in a game show. However, after a few hours, you’ll realize that under the cute 2D graphics is a complex plot that is full of surprises. Fans of 90s RPGs will appreciate the game’s characters and beautiful 8-bit music. A single playthrough of Undertale takes about 6 hours, but we suggest playing it more than once to fully learn all of the game’s secrets. Cuphead is a side-scrolling action game entirely drawn in a style that resembles a cartoon from the 1930s. In the game, you control Cuphead and Mugman. They fight a series of battles after losing a deal with the devil. While the art style is very charming, the gameplay is anything but. Cuphead is extremely difficult, and complex boss battles take up the majority of the game. It’s definitely not for impatient players, as you can expect to die a bunch of times before you complete a fight. However, if you love a challenge, you’re going to adore Cuphead. If you’ve paid any attention to the gaming world in the last decade, you’ve probably already played Minecraft. Minecraft is an adventure game centered around building things using blocks. Its adventure mode allows you to explore a dynamically generated map and manage resources. On the other hand, creative mode is a freeform sandbox that allows you to make whatever you want. Minecraft is an all-ages sensation that is beloved by millions of players worldwide. A big reason why Minecraft is so popular is that it can run on nearly any device. This includes smartphones, tablets, consoles, and PCs with low-end specifications. Don’t Starve is a randomly-generated survival game presented in a unique art style. You play a scientist who is transported into a wild world where you have to fend for yourself. Your goal is simply to not die. Unlike most games, Don’t Starve doesn’t make it easy for you to play it. The game starts by putting you in a brutal wilderness with no instructions and no initial inventory. You have to figure out how to survive by hunting, collecting resources, and fending off attackers. You’ll discover new characters, items, and tactics every time you play the game, so its replay value is very high. If you have the standalone expansion Don’t Starve Together, you can make survival attempts with your friends. The Binding of Isaac: Rebirth is a roguelike dungeon crawler. It’s a remake of a flash game made in 2011. You control Isaac, a young boy that goes underground to escape from his mother and has to traverse through a series of rooms. Each room has a set of monsters that you fight using bullets, which can be aimed in any direction. You can upgrade your powers using various items you find throughout the dungeon. You also encounter difficult bosses in some of the rooms. If you take too much damage, you permanently die and have to restart the game. The game has a reputation of being extremely well-optimized, so it can run smoothly on integrated graphics. It has two expansions which add a host of content to the game, including new characters, items, and map layouts. FTL: Faster Than Light is a fast-paced real-time strategy game. You control the crew of a spaceship that has to deliver crucial information to the Federation while being pursued by a rebellion fleet. The events, opponents, and world are all generated in each playthrough, so you have to think quickly in response to the current scenario. Throughout a run, you can upgrade your ship, fight off enemies, and manage resources. One of the most challenging parts of the game is managing the various members of your crew as they perform different tasks. If you lose to an enemy ship or your entire crew is depleted, you have to start over. If you’re a fan of old-school platformers, you’ll love Spelunky. It’s a roguelike platformer with randomly generated levels. You play a spelunker who hunts for treasure and gets through obstacles as you go deeper and deeper into the underground caverns. There are two versions of Spelunky available. The original version was released in 2008 as a freeware game and is still available on the developer’s website. The version that you can buy on Steam or GOG comes in full HD and has tons of additional content on top of the free version. Either one will have you exploring caves for hours. Papers, Please has an unusual premise. Set in a dystopian European nation, your character gets a job approving people entering through your country’s borders. The majority of the game involves checking the validity of their documents such as passports and entry permits. The gameplay is simple enough at first. However, when the number of documents you need to keep track of starts escalating, checking if someone’s birthday matches their passport starts to feel incredibly tense. As you continue playing, you’ll realize that the game asks some surprisingly big questions about morality and politics. The above titles are all excellent games that run smoothly without a dedicated GPU. However, there are a lot of games outside this list that will run just as well. For example, most titles made over 5 years ago will likely run well on newer Intel HD chips. Most of the games above are meant for PC. 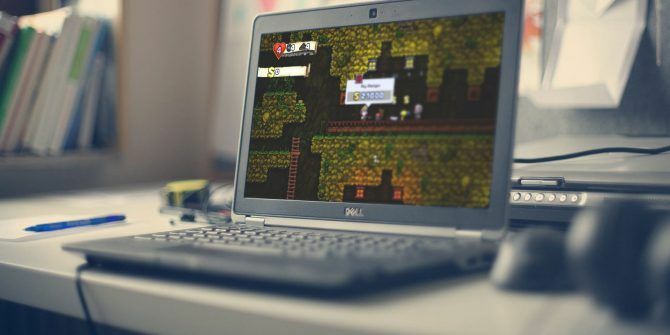 If you’re on Linux, here are the best Linux games you can play for free. 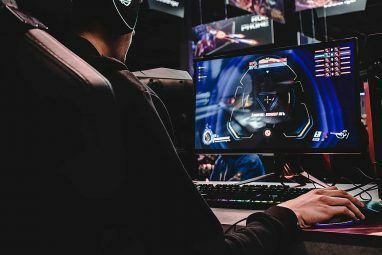 And if you want to make sure your PC can run a game before you buy it, here’s how to find PC games your computer can handle Can You Run It? 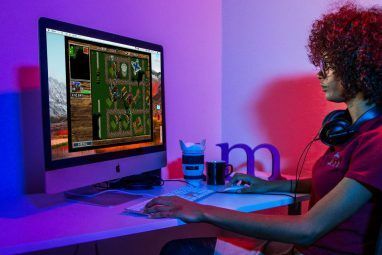 Find PC Games Your Computer Can Handle Can You Run It? Find PC Games Your Computer Can Handle Can you run it? Wonder no more after you've read this guide. Learn how to find out your PC specs and if you can run any game. Read More . Explore more about: Graphics Card, PC. 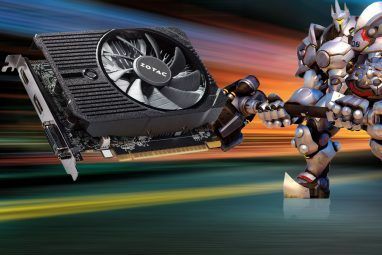 With GPUs Skyrocketing in Price, Should You Buy a Graphics Card?